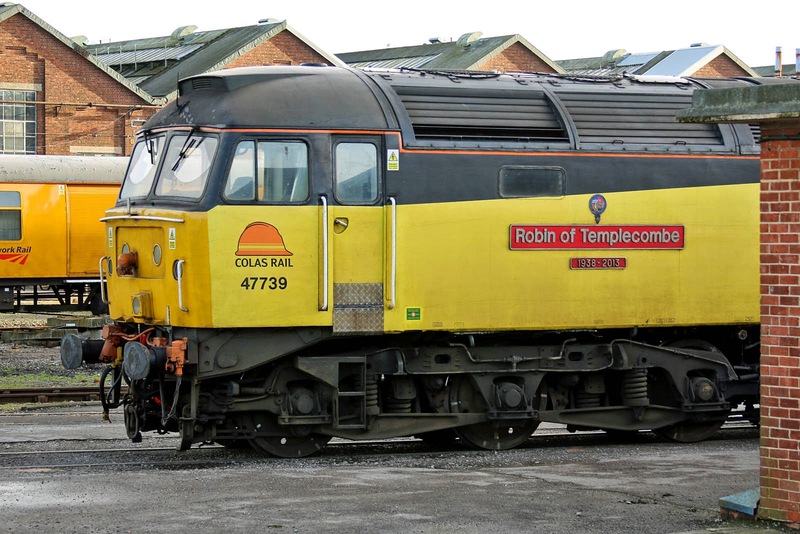 47739 Robin of Templecombe at Eastleigh Works running shed. New in August 1964 as D1615 from BR Crewe to 85A Worcester, later 47035 and 47594. 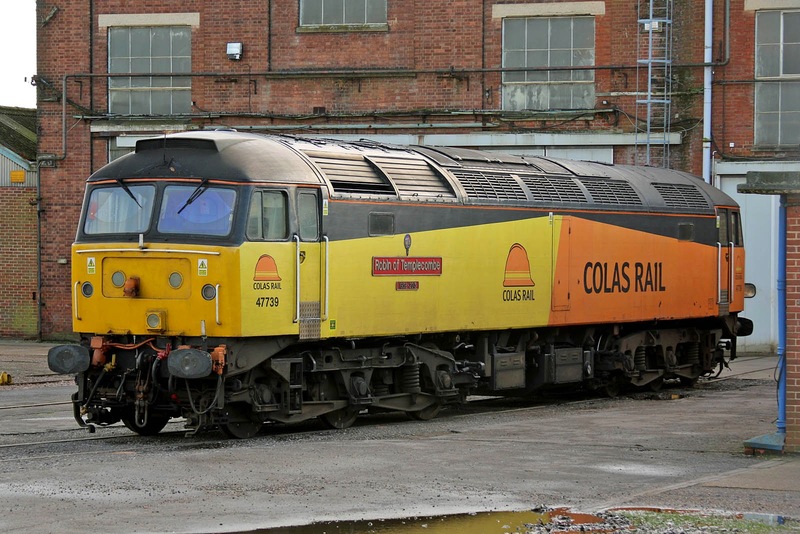 The locomotive was in the EMR Scrapyard from July to October 2007, then overhauled at Eastleigh for Colas. 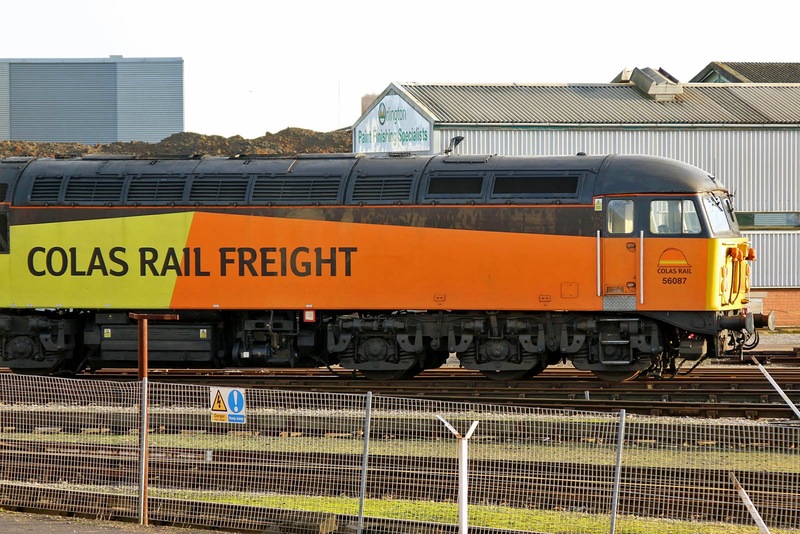 56087 was new from BREL Doncaster in December 1980, withdrawn in 2004 and sent to France, returning in 2007, eventually being stored at Crewe DMD from where it was sold to Colas.